Lottery players are lining up for two chances at massive jackpots. First is Friday night's $393 million Mega Millions jackpot, the fifth-largest in that game's history and the 17th-largest ever in the United States. The prize has been building since the last winner at the end of April. Then on Saturday comes the Powerball jackpot, which stands at $356 million and has been building since June 10. Between the two games, there have been 34 straight drawings without a jackpot winner. The odds of winning either are extreme -- one in 292 million in Powerball, one in 259 million in Mega Millions. And if the odds against winning one are ridiculous, the odds of winning both are essentially ridiculous squared -- roughly one in 76 quadrillion, or 76 followed by 15 zeros. 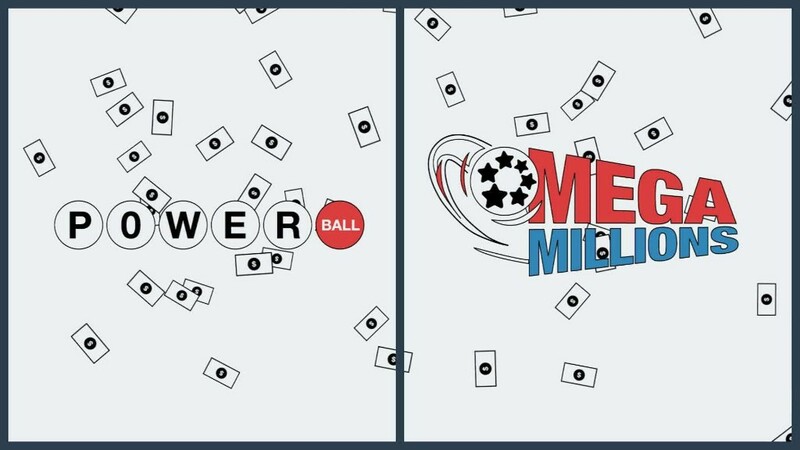 Even though Mega Millions' jackpot is bigger, the odds are slightly better, and the $1 tickets are half the price of playing Powerball, many people are betting on both. "You see more people in line buying both tickets when both games are over $300 million," said Jeff Lenard, spokesman for the National Association of Convenience Stores, whose members sell about two-thirds of the nation's lottery tickets. There's no disputing Americans love buying lottery tickets. They spent just over $80 billion on lottery games last year, according to the North American Association of State and Provincial Lotteries. That's more than on movies, video games, books, music and sports tickets -- combined. Of course, a winner of either game probably wouldn't get a prize of more than $350 million. There could be more than one winner, and almost every winner chooses to take a smaller one-time payment, rather than annuity payments spread over 29 years. The two lump-sum payments are still significant -- $246 million for Mega Millions, and $224 million for Powerball, before taxes.